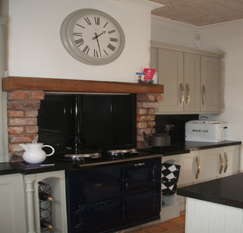 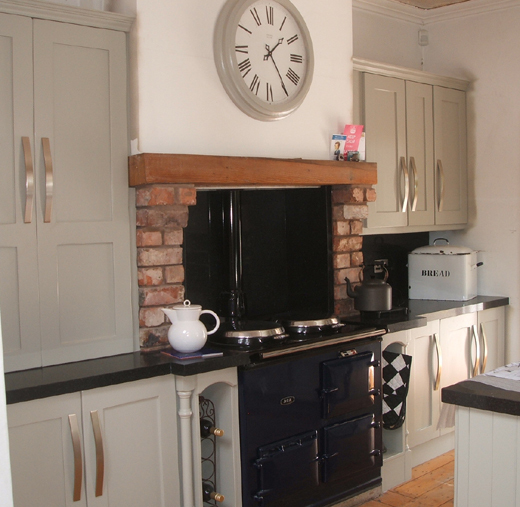 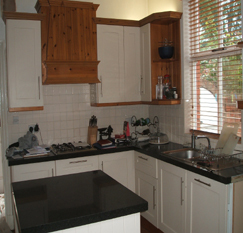 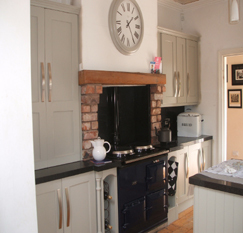 Removed all existing kitchen doors for repolishing in Farrow & Ball Hardwick White 20% Sheen. 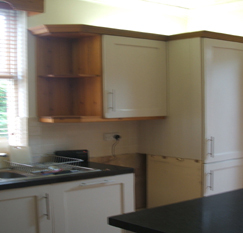 Fitted new additional wall units with matching doors. 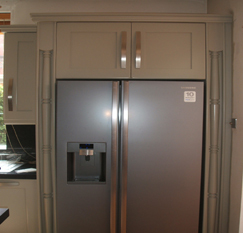 Fitted new Pilasters and top box surround for American Fridge Freezer Resprayed all units and panels in Hardwick White. 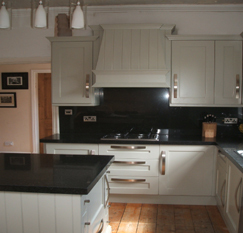 Refitted all existing and new matching doors to all units. 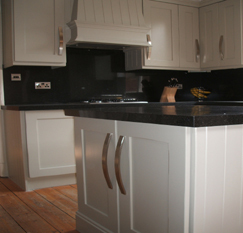 Fitted new large contemporary door handles. 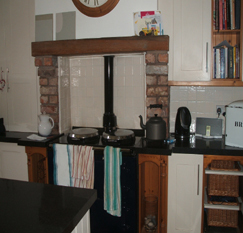 Kitchen ready for redecorating.